BlueSheepDog Honors Baton Rouge Officers! 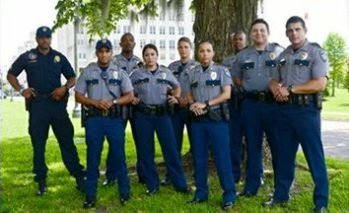 You are here: Home / Active Shooters / BlueSheepDog Honors Baton Rouge Officers! 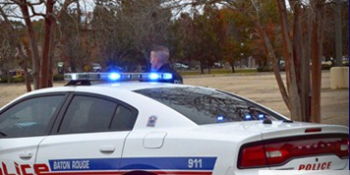 A Baton Rouge officer standing outside his patrol cruiser photo by brgov.com). In what has become a horrifying trend, there has been another deliberate attack on American law enforcement officers. This time the already embattled city of Baton Rouge, Louisiana, suffered the loss of three law enforcement officers, with three more officers wounded. One of the wounded officers, a Deputy Sheriff with the East Baton Rouge Parish, is in critical condition with wounds to his head and torso. The other two officers have been treated, and are in the process of being released from area hospitals with what is being classified as non-life-threatening injuries. This is a second targeted assassination of law enforcement officers in just over a week. On July 7, 2016, five officers in Dallas, Texas were murdered in the line of duty while protecting a Black Lives Matter (BLM) protest march. The march was coming to its conclusion with highly positive remarks from both BLM coordinators and law enforcement personnel, when a callous attack began, killing five officers, wounding seven others, and injuring two civilians as well. Baton Rouge Police are a diversified group of professionals photo by brgov.org). What has become another deliberate attack on police officers, a deranged lone gunman deliberately caused law enforcement officers to come into contact with him for the purpose of murdering the officers. This attack is particularly close to me, because the killer had once lived close to my area. On July 17, 2016, three officers with the Baton Rouge Police Department, and three deputies with the East Baton Rouge Sheriff’s Office were dispatched to a busy area of Baton Rouge on a report of a man in dark clothing carrying a rifle. The killer was a former U.S. Marine, who had completed service in Iraq. Despite his service to this country, recent online postings revealed the killer had swallowed a lot of hateful rhetoric, and was seen calling the Dallas police murders “justified”, and saying that more bloodshed (against cops) was necessary for his revolution to be successful. A Google Earth overhead of the Baton Rouge ambush. 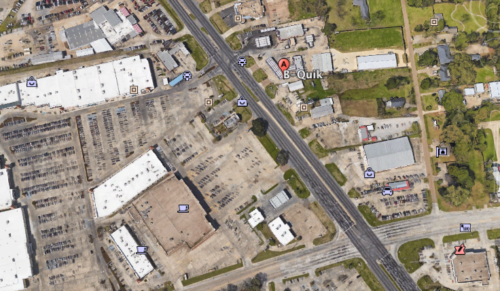 The killing location, B-Quik, is tagged and very close to a large commercial area (photo from Google Earth). Upon arrival the officers located the man, but shortly afterward an intense gun battle erupted. Though not specifically identified yet, it would appear the murderer used a semi-auto rifle with standard-capacity magazines (likely an AR-15 or AK-47 style rifle). Within seconds officers were hit, some fatally, and the call for assistance was broadcast. Thankfully, officers on the scene, and responding officers, were able to engage the killer and end his violence once and for all. The B-Quik convenience store and car wash where the Baton Rouge ambush killings took place. This is only one mile from Police HQ (photo from Google Earth). The carnage that is left behind from this coward’s ambush however, will be felt for years. Three officers dead, two injured, with one fighting for his life. Direct families shattered, department families mourning, and a national family on edge. Sadly, this attack could have been just one of many against law enforcement in Baton Rouge. Just days before several local teenagers were arrested for the burglary of a pawn shop. Several firearms were stolen during that burglary, and it has been reported the firearms were meant for revenge killings of police officers. East Baton Rouge Sheriff’s vehicles (photo by ebrso.org). (2) Deputies wounded in the line of duty. 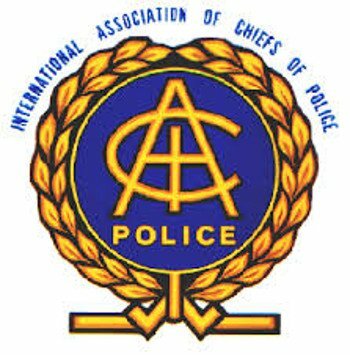 The International Association of Chiefs of Police (IACP) has a report on Ambush Attacks on police officers. Though the number of ambushes had dramatically dropped since a peak time in the early 1990’s, those numbers are beginning to show dangerous changes. In the early 1990’s police were suffering from over 500 ambush style attacks each year. This included all such attacks, whether the officers were killed, injured, or survived the attack uninjured. The IACP is a world-renowned law enforcement training organization (photo by usdoj.gov). Those numbers saw a general decline in the late 1990’s to around the mid 2000’s, as the number of ambush attacks dropped to around 200 or so per year. However, the number of ambush attacks are on the rise again, averaging over 250 in recent years, with 267 in 2012 – the last year the listed IACP report observed. BlueSheepDog recommends every officer review the facts from this report, and recognize the increasing numbers of ambushes and the use of firearms in those ambushes. EDITOR’S NOTE: In addition to the murders of officers in Dallas, and now Baton Rouge, there have been several other targeted shootings of officers. On the same day as Baton Rouge an officer in Milwaukee was ambushed while sitting in his patrol car. Thankfully he is expected to live, and the suspected gunman committed suicide shortly afterward. In June, a Hancock County, Mississippi officer was investigating a suspicious vehicle when 3 assailants attempted to disarm him and drag him into the woods. His quick action of releasing his K-9 saved his life. A Valdosta, GA officer was ambushed on a fake 911 call to lure him to the location of the shooting. Also in January, a Miami Gardens officer was completing a report in his patrol car when a suspect drove up and opened fire. In light of the recent ambush killings in Dallas, Baton Rouge, and elsewhere we want to express our most sincere condolences to the families of the officers lost and wounded. We want to stand firmly in the light and prudence of law and order that has kept our Republic thriving for over 200 years. We proudly express our support for the hundreds of thousands of officers who go out each day to serve their communities. And we want pledge our continued devotion and commitment to the calling and profession of law enforcement. “Every society gets the criminal it deserves. What is equally true is that every community gets the kind of law enforcement it insists on.” Robert Kennedy. The BlueSheepDog Crew are current and former law enforcement officers with over 60 years of combined service. We hurt and we suffer each time a fellow officer is killed or injured in the line of duty. Today, we see America ripping at the seams once again. The police officer serves at the will, and in the manner of the community he/she serves. The American police officer has never been more trained and more professional than at this time. We are human. We make mistakes. However, the law enforcement profession is found to be right and without corruption at rates higher than lawyers, and even the clergy; and law enforcement causes far fewer deaths than doctors and hospitals (now the 3rd leading cause of death in America). 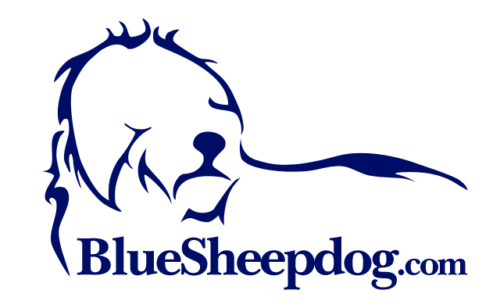 The purpose of BlueSheepDog has been to bring officers training, safety tips, court case studies, and firearm/gear reviews to provide officers the best information for making decisions and working safely on duty. Recently, we have suffered along with our brothers and sisters wearing the badge, as the anti-police voices have become louder and more repetitive, and while we have lost more and more officers to felonious attacks. We stand committed to continue bringing you the highest quality information and training on the current topics and gear important and necessary to today’s working law enforcement professionals.